Selected and edited by David McClay. The publishing house of John Murray was founded in Fleet Street in 1768 and remained a family firm over seven generations. 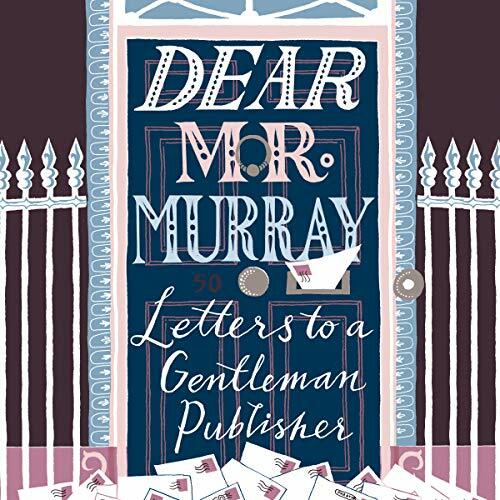 Published to coincide with this 'remarkable achievement' and in the anniversary year, Dear Mr Murray is a collection of some of the best letters from the hundreds of thousands held in the John Murray Archive. They reveal not only the story of some of the most interesting and influential books in history but also the remarkable friendships - as well as occasional animosities - between author and publisher as well as readers, editors, printers and illustrators. Despite the incredible number of letters that were retained by the Murray family, some failed to arrive, others were delayed and some barely survived, but longevity added to the reputation and fame of John Murray, and a correspondent in Canada who addressed his letter merely to 'John Murray, The World-wide famous Book & Publishing House, London, England' as early as 1932 could be confident that his letter would arrive. Intended to entertain and inspire, and spanning more than 200 years, Dear Mr Murray is full of literary history and curiosities: from Charles Darwin's response to the negative reviews of On the Origin of Species to Adrian Conan Doyle challenging Harold Nicolson to a duel for insulting his father in the press; from David Livingstone's displeasure at the proposed drawing of a lion to represent his near-death encounter in Missionary Travels to William Makepeace Thackeray apologising for his drunken behaviour; from Byron berating John Murray for being fooled by his girlfriend's forgery of his signature to the poet James Hogg so desperate for money that he claims he won't be able to afford a Christmas goose; and from Jane Austen expressing concern about printing delays to Patrick Leigh Fermor beseeching Jock Murray not to visit him until he'd completed A Time of Gifts.